When the financial markets start to turn volatile – as we have seen so dramatically in the last few months of 2018 – investors become anxious, looking for good, timely advice about what to do. But where does that advice come from? Research shows that many people depend on news media, friends or relatives rather than full-time experts or professional financial planners. That may not be a bad thing for some people. But for anyone with major investments or complex financial circumstances, choosing the wrong advisor (or taking the wrong advice) can be expensive. 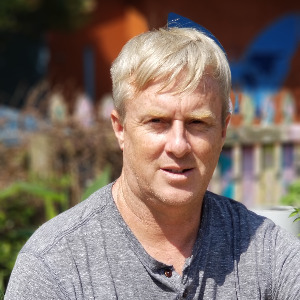 I recently saw a provocative article that made the case that, as with so much else in life, it’s not possible to get financial advice that’s good, fast and cheap. Not all at the same time, anyway. Any two of those qualities? Sure! But fast and cheap financial advice is not going to be good. It’s equally true that good, fast counsel won’t be cheap. A couple of recent studies found that significant fractions of consumers rely on newspapers and other media for financial advice. Close behind came friends and family. In short – nearly half the people surveyed were comfortable getting all their financial information from publicly available sources. That may well be sufficient for some people, whose situations are simple. They may not really need the sort of special expertise we financial professionals can offer. That reality has helped to drive the growth of so-called “robo-advisers,” now offered by online discount brokers. It’s why investment blogs and cable-TV shows are so popular. But for other people, quick and cheap advice won’t be adequate. Investors whose needs are complex can easily get confused. They need serious expertise from serious advisors who know them and understand not just their needs, but their tolerance for risk. That’s true under any circumstances, but especially so when the markets turn volatile, danger signs appear on the horizon, and the future looks especially uncertain. Like right now. There’s no disputing it – December 2018 was a very bad month for the financial markets. This volatility is a reminder that what goes up can come down, and that uncertainty is a fact of economic life. The experts who watch the financial markets say they worry that recent economic growth around the world may slow down in the coming year. Worries about a trade war between the world’s two biggest economies – the United States and China – are contributing to investor unease. It doesn’t help that statistics about manufacturing and retail sales in China are lagging behind projections. This isn’t just an American problem, either. Stocks in Europe fell sharply in December, too. In addition to global issues, the looming Brexit could badly disrupt trade between Britain and the rest of Europe and threatens the stability of England’s financial markets. Some analysts are pointing the finger at rising interest rates in this country. The Federal Reserve, always wary of inflation, has been nudging rates up. This has been blamed for hurting investments of all kinds, but especially in emerging markets overseas. The U.S. economy could be starting to follow that global trend. And while worrisome drops in employee work hours and jumps in layoffs may well induce the Fed to back off on expected rate bumps in 2019, a softening job market is never good for the economy. Finally, an upturn in U.S. bonds is another signal that equity investments are slumping: stocks and bonds almost always move in opposite directions. After close to a decade of mostly steady growth in stock values, investors are beginning to consider an unfamiliar reality – the first bear market in many years. So, what should a smart investor do when faced with such uncertainty and potential down-side risk? 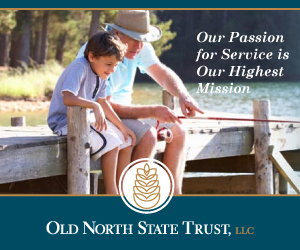 My purpose here isn’t to offer specific investment advice, but to say a little about how my company, Old North State Trust, does business. I like to think about the meaning of our logo, which includes a pine cone. If you know anything about North Carolina’s native long leaf pines, you know their life cycle has evolved to withstand adverse circumstances over many years: fire, floods, drought and wind. To me, that pine cone represents longevity, strength and the ability to withstand uncertainty. Looking at a pine cone’s overlapping scales, it can also represent the many different layers of a client’s needs. Just as no two pine cones are the same, so all our clients’ circumstances are different. Some of them may thrive on uncertainty and see potential opportunities in every crisis. Others require as much safety and security as we can find for them. For both types of investors, and all the others in between, we work hard to ensure that the advice they get is uniquely tailored to their needs – and that it’s always good. 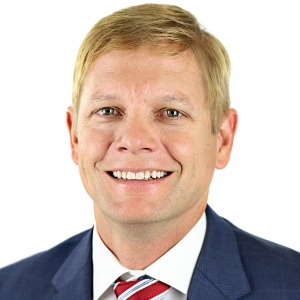 If you’re in that category where you need good advice about weathering economic storms, the financial-planning experts at Old North State Trust will help you find the sweet spot where your investments are tailored to your unique circumstances.